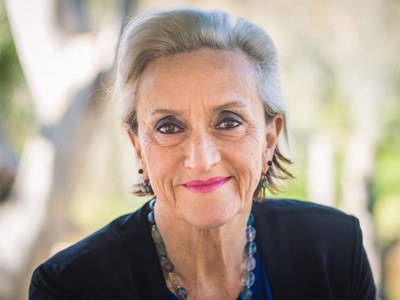 Australian leadership expert and founder of Homeward Bound, Fabian Dattner, believes that the intransigent absence of women in leadership roles globally is having dire consequences for the future of our planet. Speaking at an event in Brisbane to announce the largest all-female expedition to Antarctica, Ms Dattner said that the actions we take now and in the immediate future are crucial to our planet's future. "Our planet is in strife, and the voice of women in STEMM might just tip the balance for our children. Research shows that women generally lead with greater inclusion and more collaboration, are trustworthy with assets and are guided by a legacy mindset – all of which is the kind of leadership the world critically needs now and which Homeward Bound seeks to amplify," says Ms Dattner. Homeward Bound is a groundbreaking leadership initiative for women with a background in the STEMM (Science, Technology, Engineering, Mathematics and Medicine) professions. The 10-year goal of the project is to build a global network of 1,000 women with STEMM backgrounds to work on solutions to leadership and environmental issues. "The time for action is now," says Ms Dattner. "In order to build a more sustainable world, we must also build a more equal one, not tomorrow, not the day after, but today. Mother Nature needs her daughters. And she needs them now. "Look at the world around us. At the time when unified action and true collaboration from our global leaders could make a real difference to where the world will be in 50 years time, our global leadership paradigm is collapsing and our future looks ever bleaker. "What is needed is action, not words. Acknowledging the dearth of women in leadership is one thing, doing something about it is another. However, I am hopeful that things might be beginning to change. Look at the difference women like Christiana Figueres are making on the world stage. Look at Ethiopia, a traditional patriarchal society, with half of its cabinet positions now filled by women. The need for traits such as strength, perseverance, adaptability, determination and empathy, often ascribed to women leaders, are starting to be recognised." Supported by a global faculty of experts and environmental champions, including Christiana Figueres, who served as Executive Secretary of the United Nations Framework Convention on Climate Change (UNFCC) from 2010 to 2016, Homeward Bound participants from around the world complete a 12-month program to increase skills in leadership, strategy, visibility and collaboration, while also broadening the scope of their scientific knowledge. The current Homeward Bound program culminates in a three-week expedition to Antarctica, one of the most ecologically sensitive and inspiring places on earth, on 28 December. 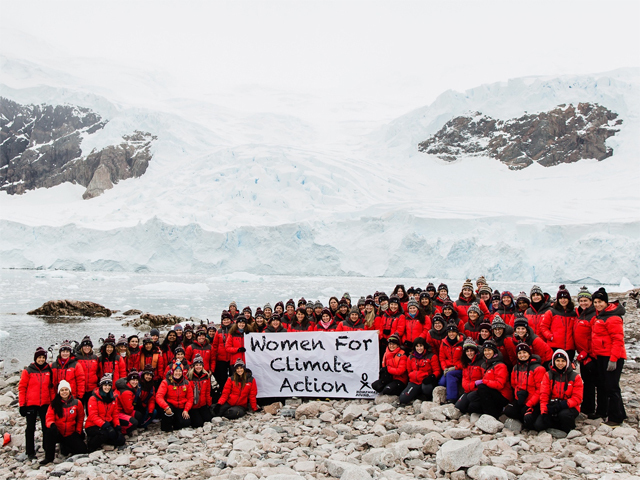 Homeward Bound's third annual expedition to the Antarctic, in which 79 female STEMM professionals from 35 countries will take part is being supported by ACCIONA. Question: Why do you believe women leaders are integral to the future of our planet? Fabian Dattner: Well, I believe both men and women are obviously crucial in leadership for all of us. However, women are in the significant minority and the consequences of that are potentially significant for all of us. Research suggests women are more inclusive, more collaborative, have a legacy mindset and can be materially more trusted with assets, money and people. Whether this is conditioned or innate doesn't really matter right now. These are valid and distinct capabilities and, as we all know, in short supply in many aspects of global leadership. Question: How can the voice of women in STEMM create a better world for our children? Fabian Dattner: Science has informed every part of the world we live in today and is likely to do the same for our shared future. It's not rocket science to recognise that in this space we all want a balanced if not diverse voice. Are we making choices that we all agree are for the greater good? Do we want all the things we are creating? Are we thinking in terms of legacy? The evidence would suggest 'no' a lot of the time. If women have attributes that encourage inclusion and long-term contribution, then we want them in the STEMM fields most of all. Question: How can Australians support women in business? Fabian Dattner: There are many ways women can be supported in business. First in the selection process - selecting talented women needs, in my opinion, a positive bias. The system predisposes to selecting male leadership attributes as more valuable than more traditional female attributes. We need to think about recognising the journey women go on when they choose to have children (which benefits all of us in the long run) and value the skills, flexibility, agility and courage this takes. We need ways of keeping women connected and informed when they are on maternity leave, we need ways of bringing them back to work in ways that help them feel included and valued. We need ways of promoting numbers of women into executive roles so they don't feel isolated, 1 - 2 amongst 7 - 9 men. Women need to feel safe to be their best and that means care from both men and women and tight policies on bullying and harassment. Question: Can you tell us about the Homeward Bound program? Fabian Dattner: It started with a dream I had in October 2014, after running a program for women in leadership (Dattner Grant's flagship program Compass) in which the three women who eventually co founded Homeward Bound with me had participated (Dr Jess Melbourne Thomas, Dr Justine Shaw and Dr Mary-Ann Lee). It is now a global initiative for women with a STEMM background focused on elevating women's voices as leaders in our world, for the greater good. The target is 1,000 women by 2026. We have some 350 women already either as alumni, getting ready for the December/January 2019 program or for the November 2019 program. Our fifth group will be open for applications in February 2019. We are modelling a very different form of leadership - distributed in influence but sharing a common strategy and global platform. We are a 10-month program which includes coaching on fundraising, visibility, communication, sense of self, safety, and collaboration. We connect every year/cohort of women to the next, with a focus on three outcomes: all women who participate are more able to lead, we all accept we are stronger together and we act for the greater good. Question: What do you hope to achieve from the Homeward Bound program? Fabian Dattner: We are already achieving more than we anticipated. We have created a high profile organisation which is effectively 'owned' by the participants. They all have the profile of Homeward Bound to stand on to elevate their message and profile (should they wish). We have multiple global collaborations happening, and we are messaging to the world that women in STEMM, women with a STEMM background should be visible in leadership in our world. We are doing everything we can for and with the women to increase their sense of belonging and the value of their thinking, expertise and compassion for our world. Question: Are you able to tell us about the Australian women involved in the Homeward Bound third annual expedition to the Antarctic? Fabian Dattner: There are a significant number of Australian women participating in the third expedition. From doctors and zoologists, to researchers, neuropsychologists and policy advisers, the skill, expertise and commitment are daunting. Of the 80 women taking part, there are 35 nationalities represented and 29 women from Australia. The link below will take you to a brief biography of each woman taking part in the third Homeward Bound journey, which departs from Ushuaia, Argentina on 28 December this year. Every person taking part has been through an application process and is highly educated, a skilled thinker and aware of what is happening in our world.